Have I ever mentioned that I am a sheet face mask fanatic? Well, I am! And I love eye sheet masks just as much. Today, I'm excited to share with you a new to me eye sheet mask that I think that you need to add to your skin care routine and get your prettiest peepers, yet. 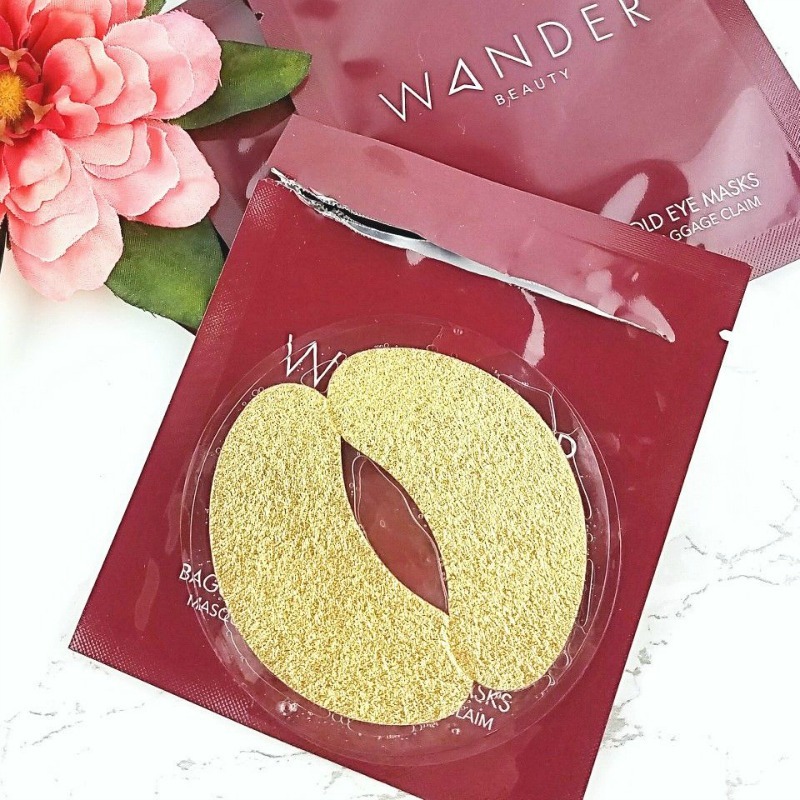 Wander Beauty Baggage Claim Gold Eye Masks are softly rounded, elongated patches with a very soft, flexible thin plastic backing that kind of resembles fine, gold leather. When you open the packet, the patches are sandwiched between two plastic discs preventing them from being crushed and are soaked in a generous amount of serum packed with skin loving and improving ingredients like: Aloe Vera, Hyaluronic Acid, Calendula, Shea, Jojoba, Lavender, Lecithin, Copper and Peptides that hydrate, tone and firm the delicate skin of the eye area. 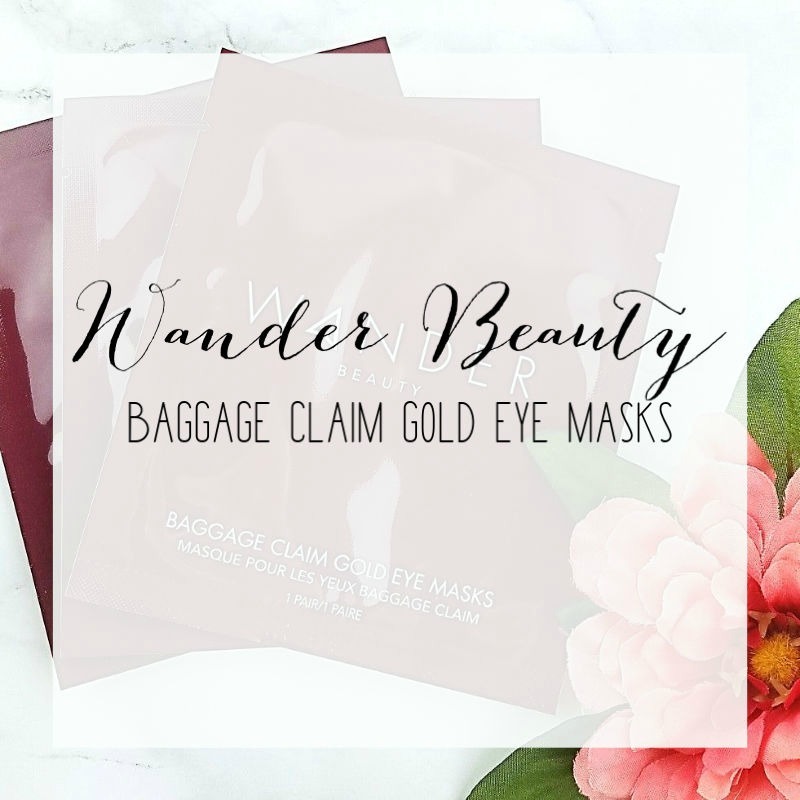 Baggage Claim Gold Eye Masks are suitable for most skin types and they don't irritate my very sensitive eyes. First, I separate the plastic disks, leaving the masks, gold side up on the bottom disk and lift one off and position it under my eye, as close as I can get it without making contact with the waterline or the tear duct in my eye's inner corner then I gently pat and smooth to be sure that the entire patch is securely clinging to my skin and repeat for the other eye. One thing to love about these masks? Once set in place, they stay there, no slip sliding away. I like to leave my eye masks in place for at least twenty minutes, sometimes much longer. The gold tone backing keeps the patches from drying out too fast, allowing for extended pampering to let my eye area drink in all of the delicious serum and reap maximum benefits. Once my under eyes have feasted, I like to move the patches over to give my crow's feet some extra hydration and toning, as well. The result is softer, smoother, more toned and firmer feeling skin that lasts for days. When I'm in the mood to multi mask, these eye masks work beautifully in concert with sheet and brush on face masks. 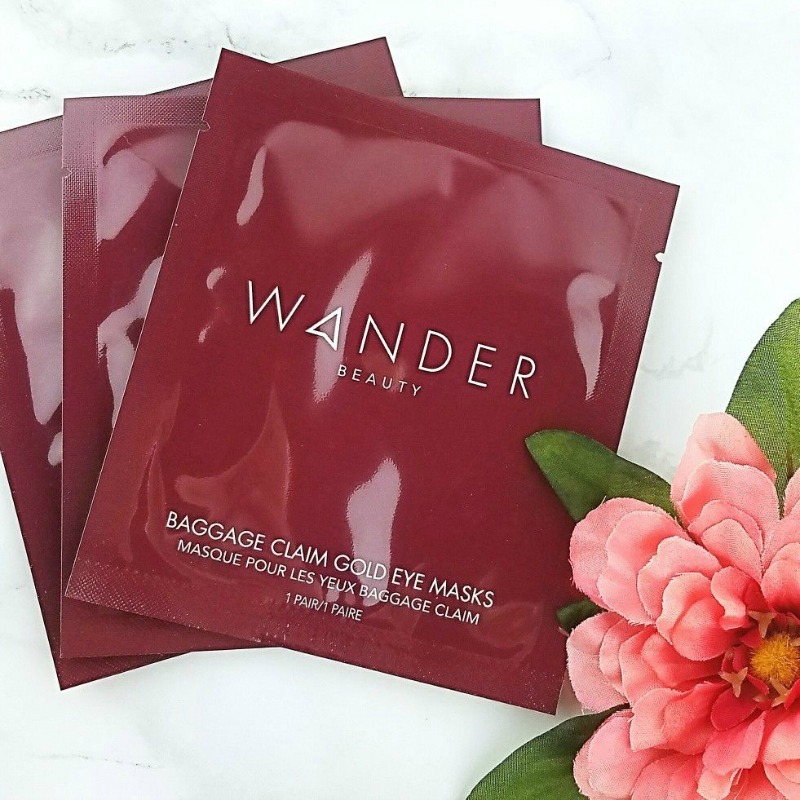 Wander Beauty Baggage Claim Gold Eye Masks are $25.00 for a box of six one pair packets and can be purchased at Sephora, Nordstrom, Wander Beauty, and other locations that carry the line. These eye masks are paraben, artificial fragrance, phthalate and mineral oil free. Wander Beauty is cruelty free. I love eye masks, and these sparkly gold ones from Wander look so enticing! The name is hysterical! These look wonderful, and I definitely would love to try them! I am a huge fan of eye masks, and was actually going to use some tonight! The name is half the fun but they are also seriously good. I could totally use these! And i've been dying to try something from this brand! I really like these too, I massage in the extra serum and my eyes feel fabulous! One of the best things is how much serum there is. These sound luxurious and nice! I need to try something like this to freshen up the under eyes. Beautiful post!! I'm so excited to put mine to the test! Aw, thank you! Girl, get them on your eyes! I’ve heard a lot of about these, I wanna try em! Do give them a go, they are so nice. I have a set of three from one of the subscription boxes. This week I took them out to use. I'm glad you mentioned using them on crow's feet after. Great idea! Thanks! I'm a little sensitive about those suckers, anything I can do to plump up and minimize them. They'd be perfect for a flight. And, you could rewet them with the extra serum in the packet to keep the pampering going, for a long time. Ooh I haven't done an eye mask yet! I'm really interested in the fact that they didn't move. I normally take my sheet mask time as a time to lay down on my back so that it doesn't move but sometimes that's not always feasible! I like that the backing allows you to use these for even longer. I lie to get as much out of my products as I can, so that is a great sticking point for me! I've not tried an eye mask yet! This sounds nice! They really are. Eye masks are wonderful. I like keeping my eye masks on for ages as well - sometimes I remove them in the morning all prune-like, but my skin looks great! Oh... I love a great eye mask and I love the sparkly that these have. I need to check these out for sure. I like a good sheet eye mask! That reminds me I have a few I should use soon. From the time I was a teen I've had bags under my eyes and dark circles that Ibattle with. This sounds like something I need to try and it would actually help. Thanks for such a great review. Those look so luxurious and fun to use!